What Does The 21DSD Contain? Is The 21 Day Sugar Detox Worth It? The 21-Day Sugar Detox is a program, which gets you eating real food for three weeks, to get rid of cravings, create new habits, nourish your body, and get to know your body and what it needs. Simply by limiting your sugar intake for twenty-one days, you get to finally break away from your sugar addiction and carb cravings, and stop overindulging in carbs, fruits, and sweeteners. In our 21-Day Sugar Detox Review we will be going over exactly what the program has to offer. Also, the program is comes in three levels, and most paleo eaters would be on level three, as they’ve already cut items like grains out of their diets. The course is delivered through an online portal, where you get access to e-books, audio recordings, videos, and cheat sheets. 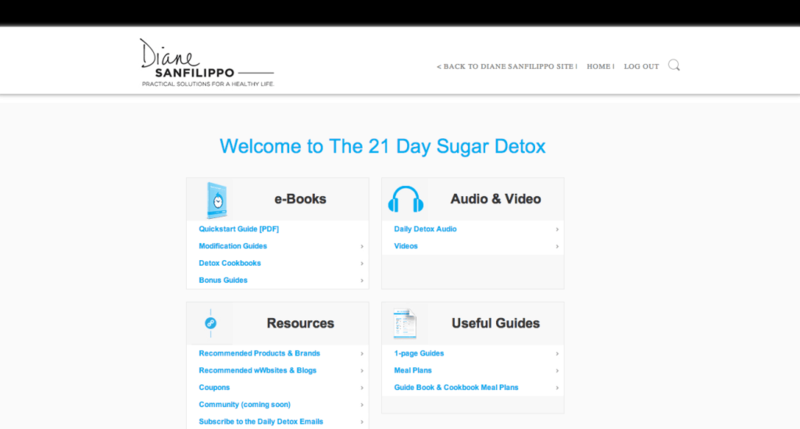 When you log into your 21-Day Sugar Detox portal, you see a screen that links to all of the e-books, audio recordings, videos, resources, and guides that come with your purchase. Honestly, the Quickstart Guide would be worth buying as an e-book in its own right. 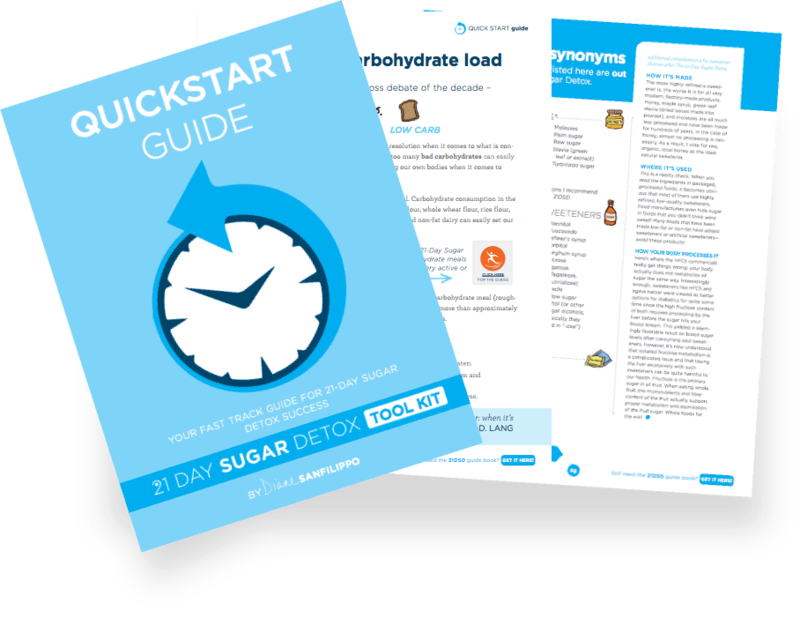 It runs through everything you need to know and sugar and The 21-Day Sugar Detox in clear language that gets right to the point. This guide will set you up for success on the detox. Even if you read none of the other downloads, you’d feel ready to go. The 21-Day Sugar Detox isn’t just for your Average Joe. It caters for everyone, which is why it comes with guides written specifically for athletes, parents, new moms, people with autoimmune conditions, and pescetarians. These guides go into detail about how to modify the program to suit your own needs, so you can be sure you’re giving your body exactly what it needs. No stone is left unturned here! The 21-Day Sugar Detox doesn’t expect you to get on and figure out your meals yourself. Included in the price are several cookbooks: Against All Grains Detox Cookbook, Paleo Parents Detox Cookbook, and Sugar Detox Smoothies. Wow! There’s no way you’re going to struggle to come up with tasty meals on this program! And there’s more! If you want to go all out and move your body as well as feed it, you’ll be pleased with the Detox Yoga Guide and the Workout Guide. Basically, these guides are straightforward explanations of the types of movements that will most benefit your body, again grouped according to level. Sometimes, no matter how well-prepared you are or how much information you’ve got, you don’t want to do something on your own. It’s just easier if there’s someone cheering you on. Well The 21-Day Sugar Detox is prepared for that. Also, it comes with an audio recording and transcript for you to listen to on each day of the program. Each recording is about twenty minutes in length and addresses the feelings, issues, and concerns you might be experiencing. Of course, the program also comes with meal plans and shopping lists, so you don’t need to worry about planning your own meals or wasting your time at the supermarket. Simply print out these handy plans, do as they say, and you’re off! 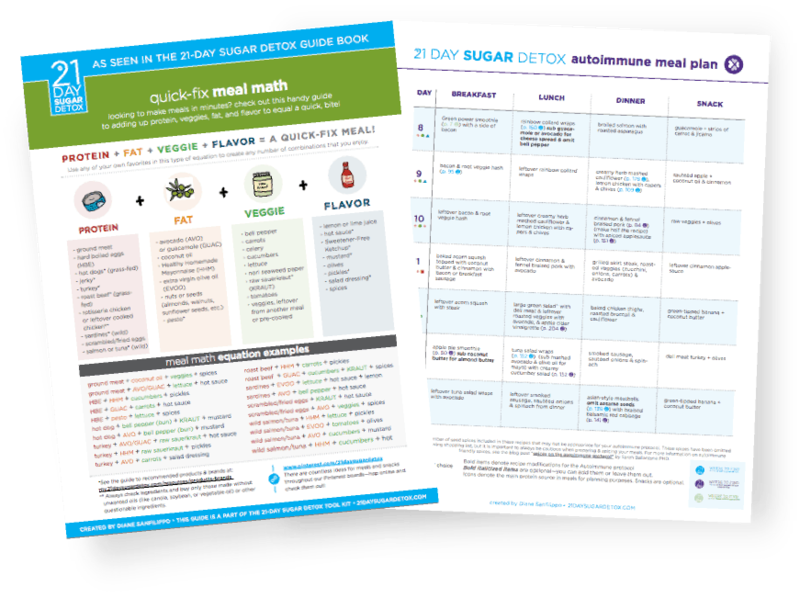 All the resources in The 21-Day Sugar Detox are well-designed. They’re laid out clearly, so that they’re easy to read and understand. The design is gorgeous and there’s even the occasional illustration, which adds to the feeling that you’re experimenting and having fun, rather than reading some boring and complicated scientific document. The course is written in easy-to-understand language. The resources explain the science behind the concepts simply, keeping everything relevant to you. There are plenty of examples, short summaries, and links to additional resources if you want to find out more. Absolutely, 100% yes. We were amazed by the amount of information and number of resources we got for our money. The Quickstart Guide alone is worth a fair few dollars. This is one of the most thorough and comprehensive guides we’ve come across. 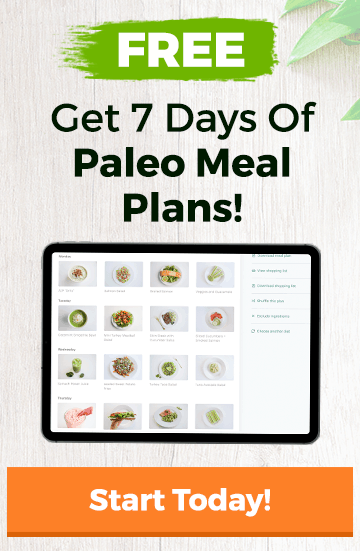 We can’t fault the quantity and quality of information, the design, or the layout and, of course, anything that helps you to pay attention to your body, eat naturally, and conquer your non-paleo cravings has the thumbs up from us. We recommend The 21-Day Sugar Detox to anyone looking to get in touch with their body, reset, and learn once and for all how to eat for good health. Start your detox by clicking on the button below.